Beautiful 2 br/2 bath cabin with outstanding views that go on forever! Cozy View Cabin. located in the Wears Valley area near Pigeon Forge, is a 2 bedroom/2 bath cabin with all the amenities you could ask for! Beautifully furnished, you will feel right at home. Enjoy the comfortable mountain weather and views on the wrap around porch or a game on the pool table upstairs. Complete with sleeper sofa, Cozy View can sleep 6. Flat screen televisions in each bedroom and living room; wood burning fireplace; eat in bar in the fully equipped kitchen; dining room. Cozy View is in the mountains but is easily accessible as it features a level driveway and only three steps to the cabin. Cozy View is located conveniently off of Wears Valley Road, just a short drive to Pigeon Forge and about 30 minutes from Gatlinburg. No matter what your desire, everything is located nearby! This cabin is made for a family vacation! Beautiful and cozy, but large enough to spread out , spending time here together is a time you'll treasure always! My husband and I grew up and lived most of our lives in Tennessee. At this time, we live in West Tennessee and are nearing retirement. With both of our busy careers, its not easy to find time to spend together so we decided to find our special place now so that we can enjoy it and each other for many more years to come! We have lived in Tennessee our entire lives in Middle and West Tennessee. My husband and I love the mountains, love riding motorcycles, and have always dreamed of retiring in the Smokies. Finally, we have our dream second home and look forward to sharing it with you. When we came to find our dream vacation home, we almost missed this gem. There were lots of cabins with lovely views, but not to this extent. This was our last stop before heading home. Once we saw the wraparound porch and the incredible view of the Smoky Mountains, we were sold. It was even better to see that this cabin had been well-loved by its previous owners. We've made a few changes and upgraded a few things. We know you'll appreciate the love and attention to detail we've put into making this cabin our own. From this location on Bluff Mountain, its an easy drive to the parkway in Pigeon Forge and all the attractions of the area. In the other direction, you'll find charming Wears Valley with its quaint shops and restaurants. The entrance to Great Smoky Mountains National Park is only 17 miles away, so there are plenty of choices for dining, fun activities, sightseeing, hiking and enjoying the outdoors, or simply curling up on the comfy couch and enjoying a good movie, a cup of coffee and the cozy views right outside your windows. Beautiful mountain views you can enjoy from inside or outside on the wrap around porch. wood burning--your first fire is on us! completely furnished with all appliances, big and small. Keurig coffee pot and regular pot are supplied. Children are welcome but the cabin is not child proofed in any way. We offer a concierge service. We'll be happy to shop for you or make you dinner or dessert! Being a chef/restaurant owner in my former life, I am very particular about what I prepare, using only the freshest ingredients possible. I carry on that theme when shopping for you. You will be pleased with the quality of your groceries. Imagine arriving at the cabin with your groceries waiting for you, put up and in the fridge! You may also order frozen entrees that you may bake yourself or fresh entrees, made to your liking. A nice, homecooked meal that you may enjoy whenever you like! We highly recommend trip insurance because of snow during Winter months--January thru mid-March. Its inexpensive and will give you peace of mind. Great Place to stay clean and cozy! 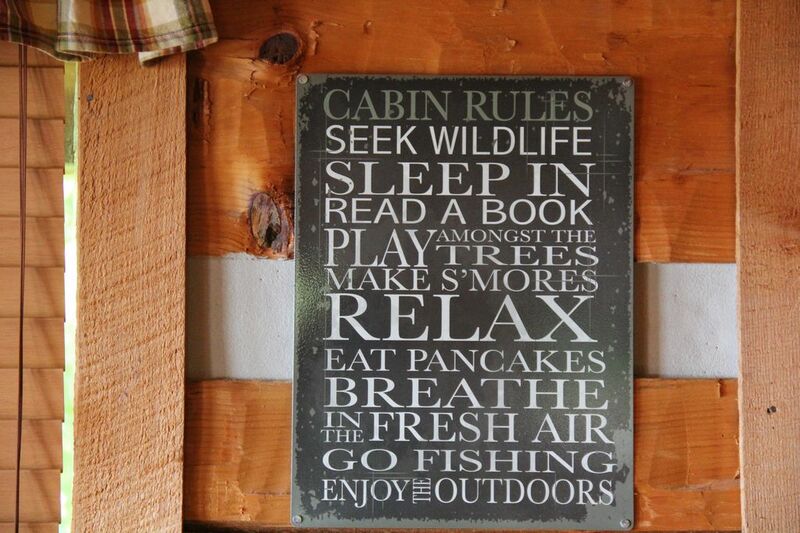 We enjoyed everything about the cabin. Sheryl was delightful to work with. Would definitely go back. Thank you Michael! I'm so happy you enjoyed your stay! You are welcome back any time. We loved Cozy Cabin! Homey and cute inside and a beautiful view outside! Clean and neat as a pin! This is the cabin you dream of when you envision a trip to the Smokies! Beautiful views and lovely house! We enjoyed our stay and had everything we needed. Loved the hot tub after hiking all day! So happy you enjoyed the cabin Beth and yes, the hot tub is a must after hiking! We hope to host your next stay in the Smokies!!! Warm and cozy cabin with a priceless view! Our favorite place to stay in Pigeon Forge. We spent the weekend with friends at this nicely-appointed cabin. It rained most of the weekend, but we didn't mind. The sounds of rain pattering on the roof, the changing views of the mountains and the wood-burning fireplace created an atmosphere that made us not want to leave. When we did decide to venture out, there were plenty of dining options not far away, so we didn't have to spend too much time on the road. The cabin is well cared for and it shows. We will recommend Cozy View to our friends, and when we come back to the area, we're definitely staying here again! I'm so happy that you enjoyed your stay Brent! Cozy View Cabin is aptly named, as you can enjoy it no matter what the weather. The cabin is so relaxing and centrally located near anything you might want to do in Pigeon Forge. Its perfect for a family vacation--a great place to reconnect! From the amazing views you can see everything, including weather moving in (or out). Decent, but not highly impressed. The cabin had a beautiful view, and the view from the hot tub was amazing. However, there were multiple dead bugs in the window seals, a ton of dust on the side of the stairs, dust buildup hanging from the wooden walls, mold on the upstairs shower curtain, even extremely thick dust lining the green rocker in the up stairs bedroom. We found peanut shells in the floor on the side of the bed, yet my husband and I didn’t eat any whole peanuts or peanuts in general for that matter while we were there. We had to take Sudafed the entire trip. Not sure if it was because of how dusty the cabin was, or the weather... Aside from that, the fireplace worked well. We never had any trouble with WiFi, the upstairs bed was very comfortable, and the amenities were nice. I’m glad you enjoyed the view and amenities, but I’m so upset to see that cleanliness was not up to our standard. While it’s much tougher in the winter to manage the dust from HVAC and bugs that come in from the mountains, I’m disappointed to see that we failed to spot a problem on this one, particularly missing a section of vacuuming after the previous guest. Rest assured, your comments will have me double checking to ensure it does not happen again. I hope you will consider returning. Located in beautiful Wears Valley, you can easily drive to Pigeon Forge or Gatlinburg to take part in all the attractions or stay all cozied up in the cabin and enjoy the nature that surrounds you! Close to Great Smoky Mountains National Park where hiking, fishing, picnicking, rafting, kayaking all abound! If shopping is your dream, Tanger Outlet Mall is nearby with lots of great shops, including Coach, Banana Republic and Polo. Water sports? Beautiful Douglas Lake is nearby and boat rental is available.